Your home at Phoenix Commons is designed to respect your privacy while at the same time provide the opportunity for a rich community life. Homes are individually owned by members, who, along with their neighbors, maintain a shared ownership interest in the community spaces. At Phoenix Commons you have a variety of choices when it comes to the layout and finishing touches in your unit. Each home has a fully equipped kitchen and dining room for private cooking and dining. They are universally designed for aging in place and are equipped with the latest in emergency call and security systems. 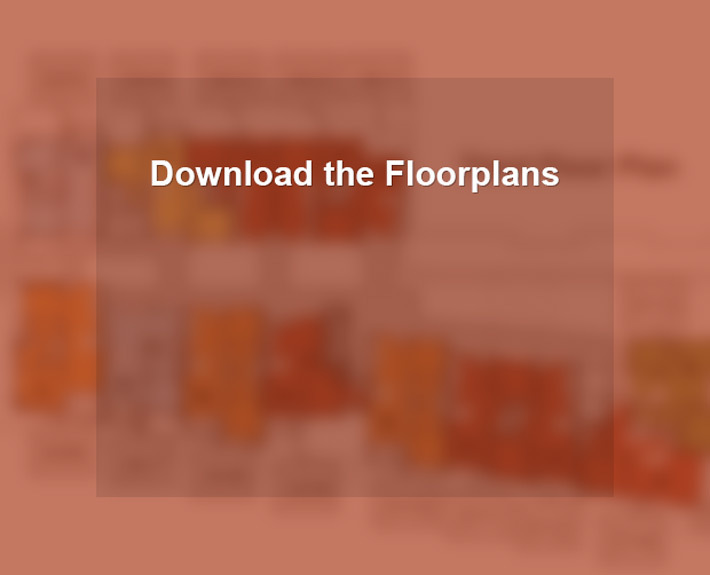 Please select a floor plan from those listed to learn about the various options. 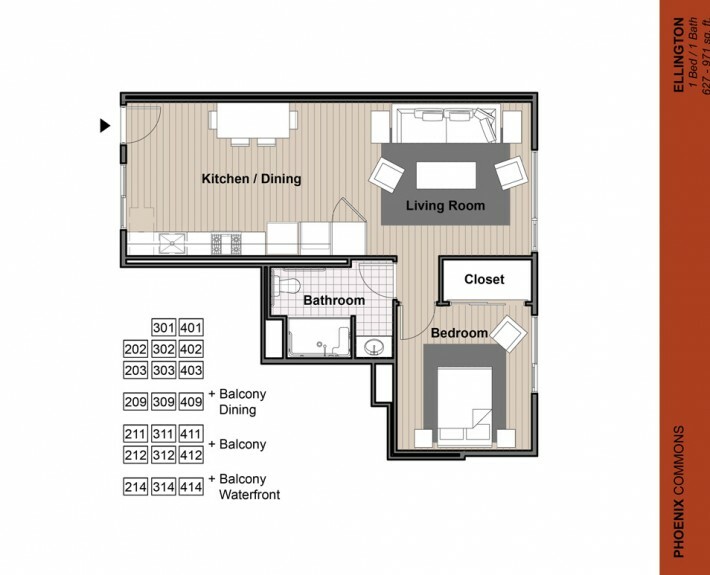 The Ellington floor plan offers one bedroom and one bathroom. These units range in size from 627- 971 sq. ft. and price starting at $525,257. 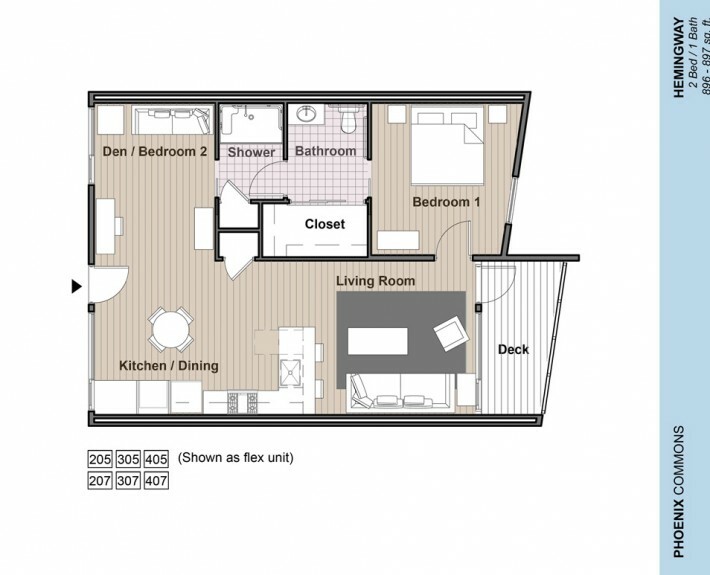 The Rivera floor plan offers one bedroom, a den, and one bathroom. These units range in size from 1,074 sq. ft. 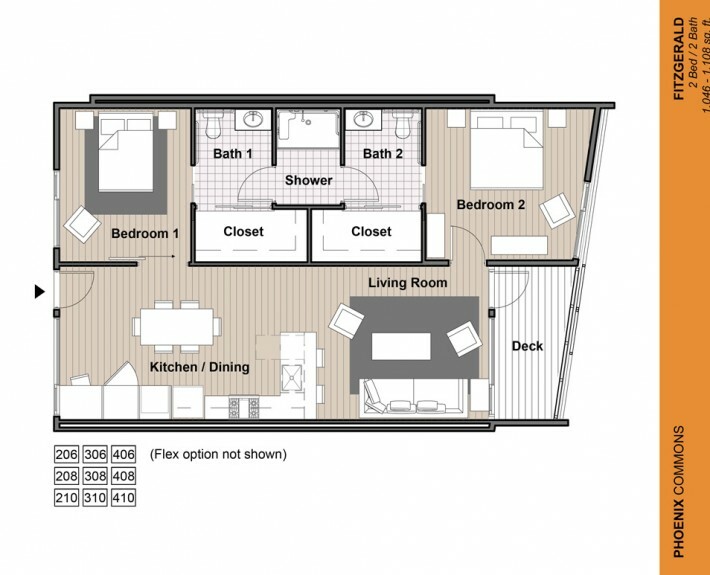 The Hemingway floor plan offers two bedrooms and one bathroom. 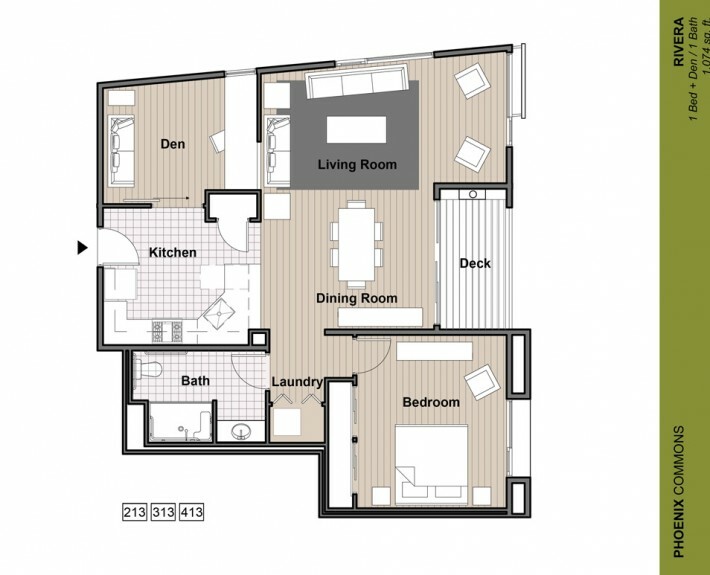 These units range in size from 896 – 897 sq. ft. 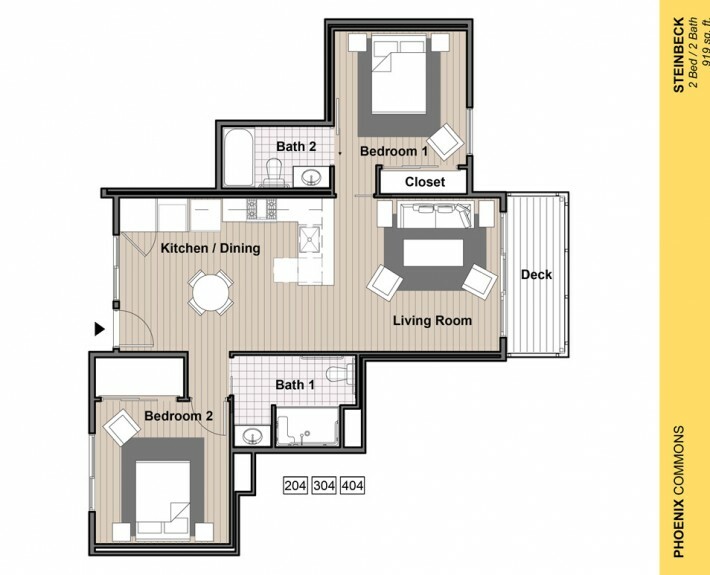 The Fitzgerald floor plan offers two bedrooms and two bathrooms. These units range in size from 1,046 – 1,108 sq. ft. and price starting at $678,549. 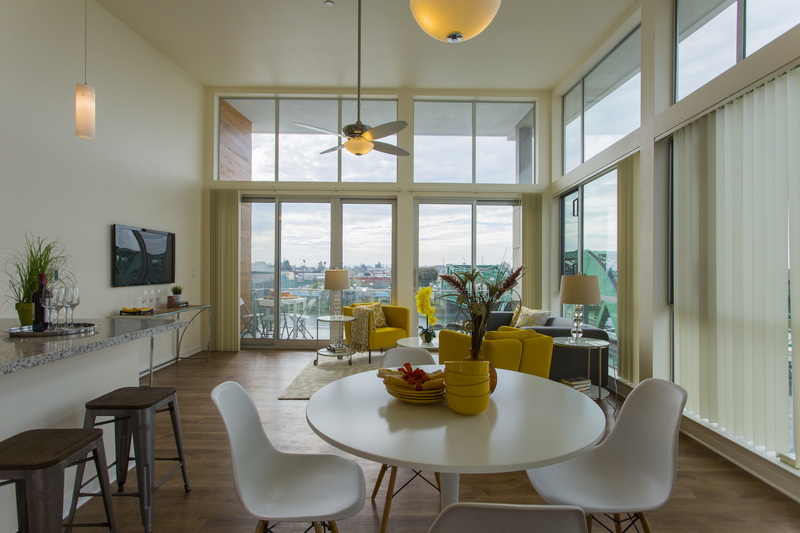 The Steinbeck floor plan offers two beds and two bathrooms. These units range in size from 919 sq. ft. and price starting at $629,171. 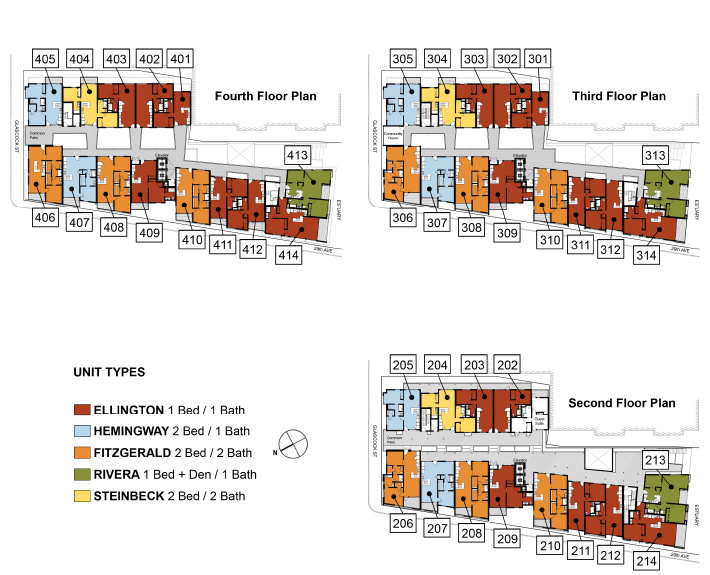 204 – 1 bed, 1 bath, and den.